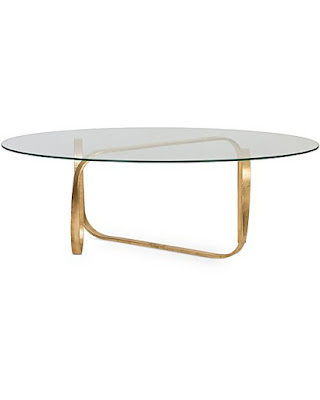 Juxtaposing the smoothness of marble, glass or mirror with a rough-luxe gold frame, the stark elegance of the design-led Luxe Furniture Collection calls for pared back city living. 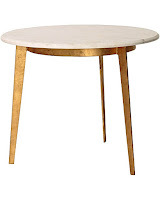 Choose from luxe side tables, coffee tables and drinks trolleys. If you have not discovered Oliver Bonas for fabulous pieces of furniture or home accessories it’s well worth a look. 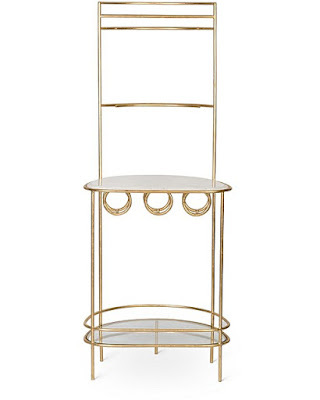 Consider yourself invited: This Luxe Round Bamboo Drinks Trolley will make your dinner party one to remember. 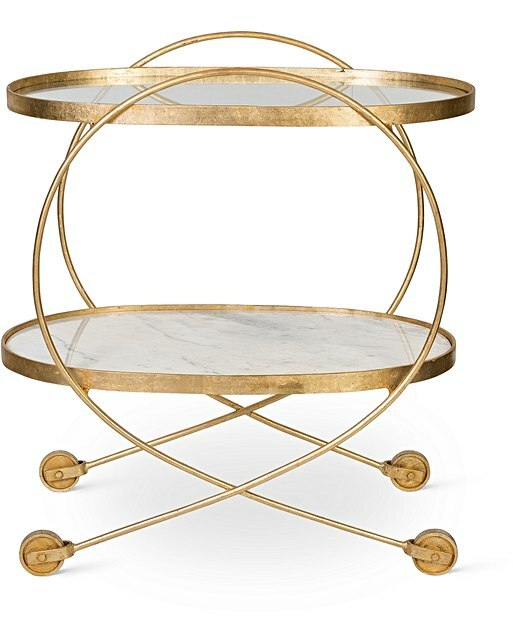 With a mixture of marble and two burnished mirrored shelves and castor wheels, this rough luxe drinks trolley will allow you to play host to your guests in style. 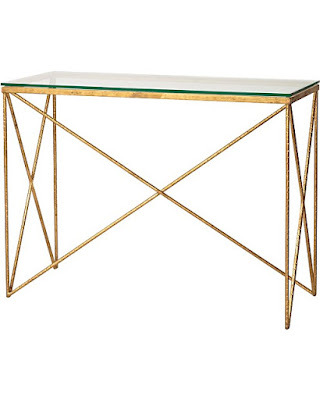 Complete the setting with mixed metallic, brass and wooden finishes. Chin Chin! 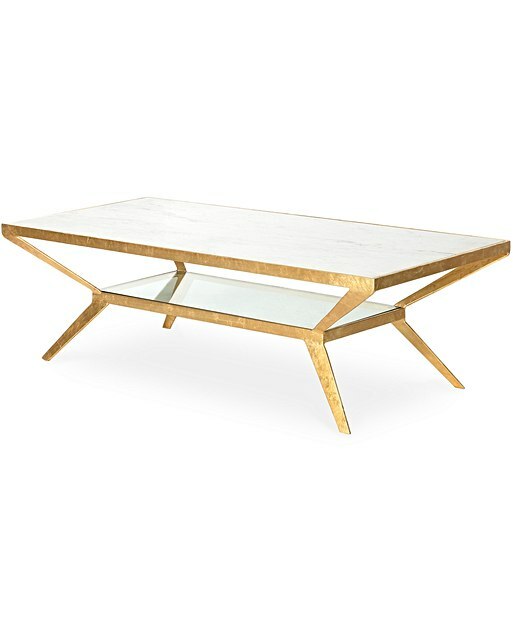 Define your living room with this high-impact Luxe Diamond Coffee Table. 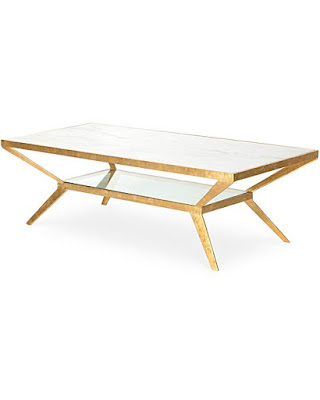 Featuring a sleek marble table top and legs in a faceted diamond silhouette, this structural piece will become the centre-piece of your living room. The reflective surfaces will help make your space feel lighter and brighter too. Statement, sculptural and conversation-starting, the Luxe Loop Marble Drinks Trolley sets a sleek scene. Part of our Luxe Furniture Collection, this opulent bar cart has a swooping iron frame that's foiled in warm gold. This party piece has two shelves - one marble and the other mirrored - to hold liquor and your favourite glassware. Complete the look with our mixed metallic glassware and cocktail range. 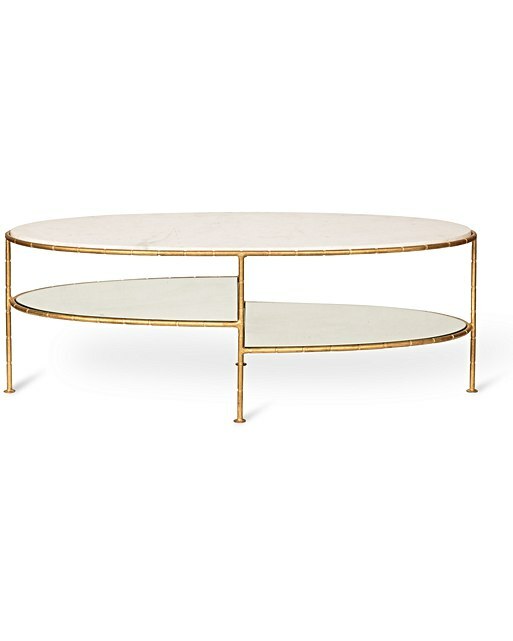 Make this Luxe Three Oval Bamboo Coffee Table the talk of the table. 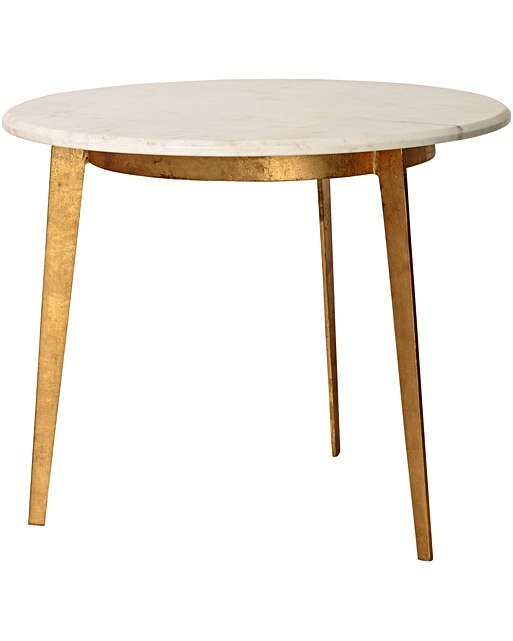 With an oval shaped table top and luxe split marble shelving with bamboo effect, this design-led, rough luxe table has an airy feel. A unique piece to break up small spaces or to showcase your coffee book collection. 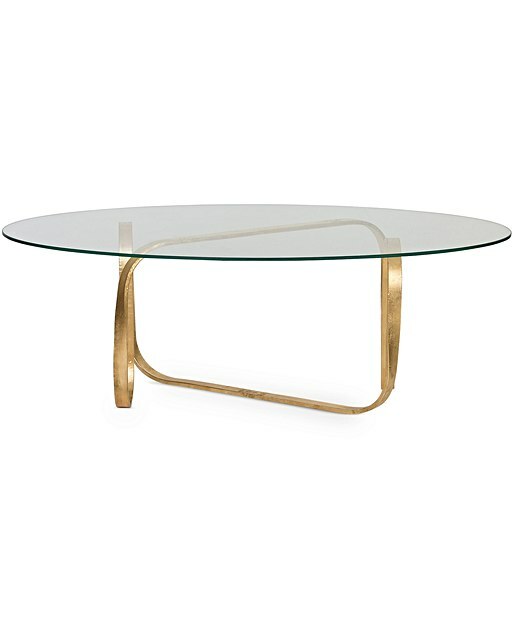 Sculptural and oh-so eye-catching, this Luxe Loop Gold & Glass Coffee Table is the statement piece to centre your living room. 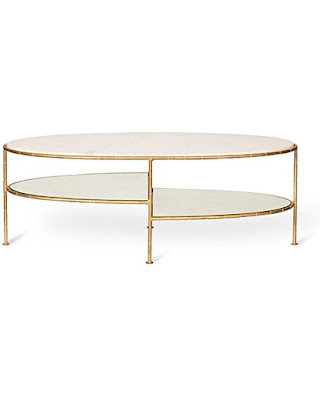 Part of our Luxe Furniture Collection, this gold coffee table features a looped iron base with a gold foiled finish, topped with an oval-shaped table top in tempered glass that's held in place by discreet suckers. Complete the look by pairing with other pieces from our Luxe Furniture collection. Create a clean and minimal aesthetic with the sleek silhouette of our marble-topped round side table with slim tapered gold legs. Also works well as a small coffee table. Complete the look with the Luxe Drinks Trolley, Console Table and Egg Coffee Table. Combine with natural wood, glass and metallic pieces to add space and light to a minimalist home or opt for an eclectic layered look and add warmth with printed soft furnishings, colourful home accessories and statement lighting. Statement, sculptural and conversation-starting, the Luxe Marble & Glass Drinks Stand looks at home long after the party is over. 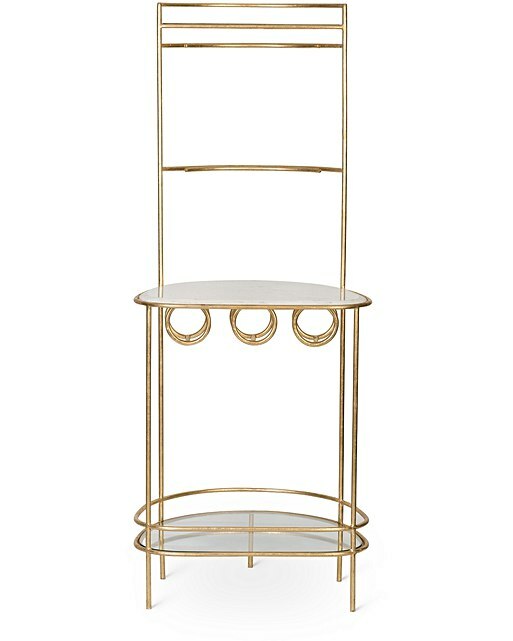 Part of our Luxe Furniture collection, this opulent drinks stand is a space-saving yet statement piece that has a solid iron frame that's finished in warm gold foiling. Featuring two glass shelves, this stand has space to hold three wine bottles, with two hanging racks that hold up to eight wine glasses. The drinks stand is finished with a solid marble shelf, perfect for preparing your favourite tipple. Complete the look with our mixed metallic glassware and cocktail range. 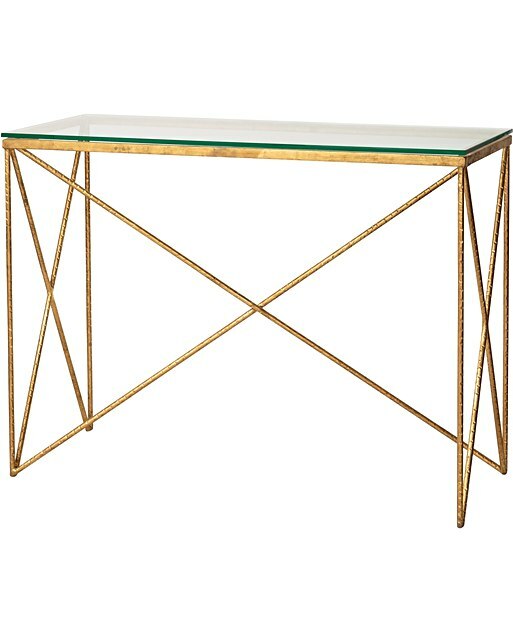 Starkly elegant, our Luxe Console Table features a sleek glass top on a slim gold frame with a criss-cross design feature and hand finished circular stamp detailing. 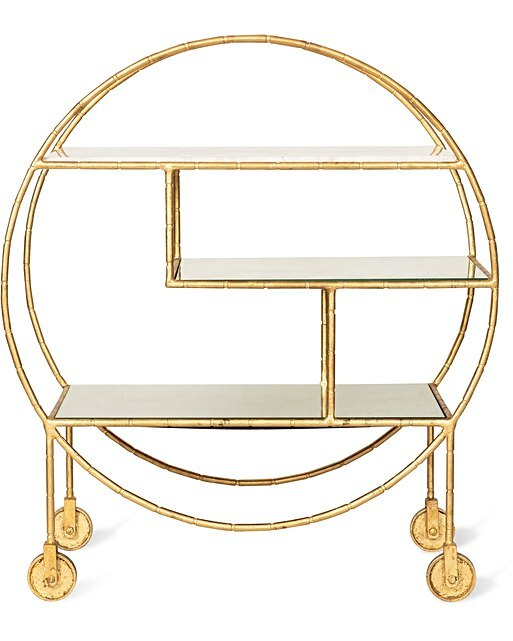 Complete the look with the Luxe Drinks Trolley, Egg Coffee Table and Round Side Table. Combine with natural wood, glass and metallic pieces to add space and light to a minimalist home or opt for an eclectic layered look and add warmth with printed soft furnishings, colourful home accessories and statement lighting. Settle in to sumptuous living with the oh-so-opulent finishes of the gold-foiled Luxe Duck Egg Velvet Chair. 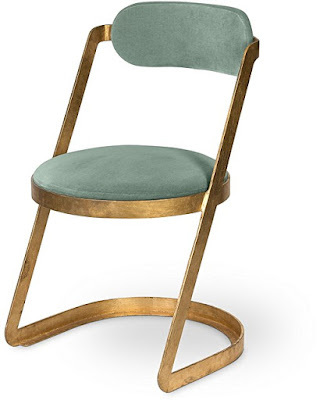 Part of our Luxe Furniture Collection, this short chair is sculptural in design, with a solid iron frame finished in warm gold foiling. The frame curves around a padded seat that is upholstered in plush cotton Varese velvet by Designers Guild. A modern heirloom, this chair is upholstered in the UK and will make a statement addition to a dining room or office. 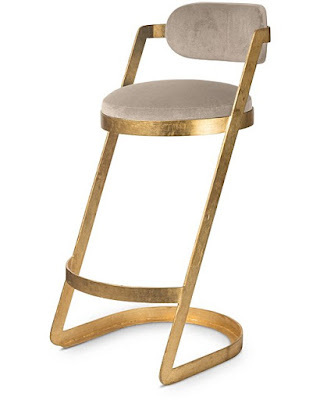 Settle in to sumptuous living with the oh-so-opulent finishes of the gold-foiled Luxe Dove Velvet Bar Stool. Part of our Luxe Furniture Collection, this tall chair is sculptural in design, with a solid iron frame finished in warm gold foiling. The frame curves around a padded seat that is upholstered in plush cotton Varese velvet by Designers Guild. A modern heirloom, this chair is upholstered in the UK and will make a statement addition to a breakfast or home bar.